Help Sneakersnstuff find Shaquille O'Neal to give him a piair of their 'Tribute' Shaqnosis, and maybe win a pair in the process. Sweden's Sneakersnstuff just officially revealed the Shaqnosis "Tribute" as their 12th shoe in a year of collabs with Reebok Classic earlier today -- and now they need your help. 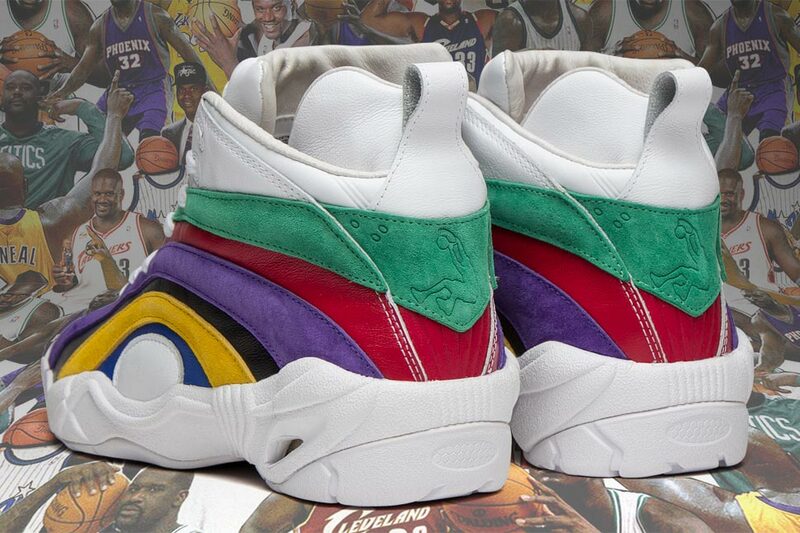 The Sneakersnstuff crew will be in the USA this weekend, on a mission to find Shaq and personally give him a pair of the multi-colored kicks - inspired by one hue from each of the six teams he played for throughout his career. To help Sneakersnstuff hunt down Shaq and also have a chance to win a pair of the "Tribute" Shaqnosis, repost the photo below on Instagram and tag it with @theretireddroneal @sneakersnstuff #SearchingForShaq. In appreciation for your help, Sneakersnstuff will be giving away 10 pairs of the Shaqnosis to randomly selected helpers. Help us find Shaq! 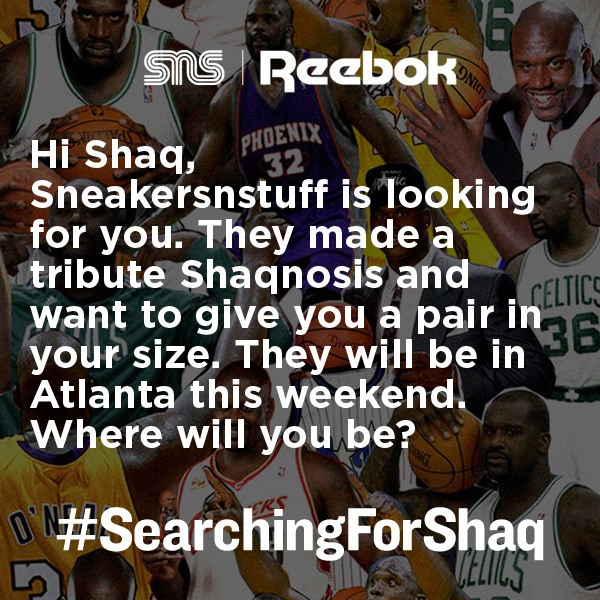 Repost this image and tag it with @theretireddroneal @sneakersnstuff #SearchingForShaq and you'll be entered for a chance to win 1 of 10 pairs of our Shaqnosis. Winners will be randomly selected December 16th. Thanks for your help and good luck!